Enjoy the comfort of this charming condo while taking in the scenic landscapes of the mountain. 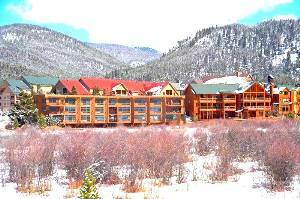 The River Bank lodge is nestled on the outside of Keystone’s River Run Village, a primary mountainside destination for shopping, dining and nightlife entertainment. 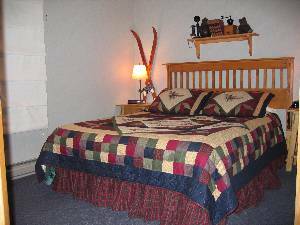 Our Condo comfortably sleeps up to four adults and is located on the "quiet side" of the village. Peaceful and clean, we offer you all the amenities of home with spectacular and unobstructed mountain views! The Condo unit also includes access to a hot tub and sauna directly across the way in the Dakota building. Keystone features three mountainous playgrounds- so no matter what your skill set is, there are over 120 trails and 20 lifts to take you from casual skiing to challenging terrains set up to compliment your abilities. Keystone also boasts one of the most exciting opportunities for night skiing available in Colorado. Beyond the world class ski and snowboard adventures, Keystone offers the largest selection of outdoor activities that include ice skating, cross country skiing, snowmobiling and scenic gondola or horse drawn carriage rides. If shopping is what you’re after, there is also an outlet mall in nearby Dillon. With endless selections there’s bound to be something for everyone at Keystone! 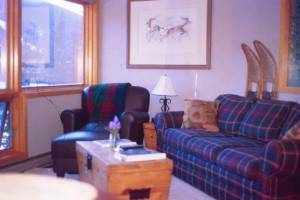 Book before December 1st and receive one free night when you book six consecutive nights during the 2008-2009 ski season. (Please note: This promotion is not valid during the Holiday weeks of December 21st-January 3rd or February 15th-21st). We are flexible to match rates from comparable units with proper proof of offer. Coin laundry 2 doors down the hall. Convection oven/microwave combo. Granite counter tops with stone backsplash, all new appliances. 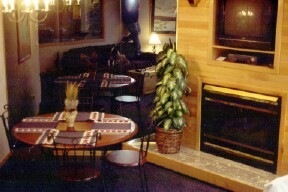 Gas fireplace and dining area. 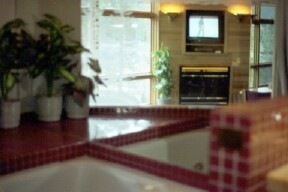 2 person in unit jacuzzi tub overlooking living room and wall of windows! Martin Luther King-Presidents Day rate is $200 per night. Deposit: 50% due with booking. Cancellations and Refunds: No refund less than 45 days ski season. No refund less than 30 days all other times. Required Stay: 3 night higher during holiday.